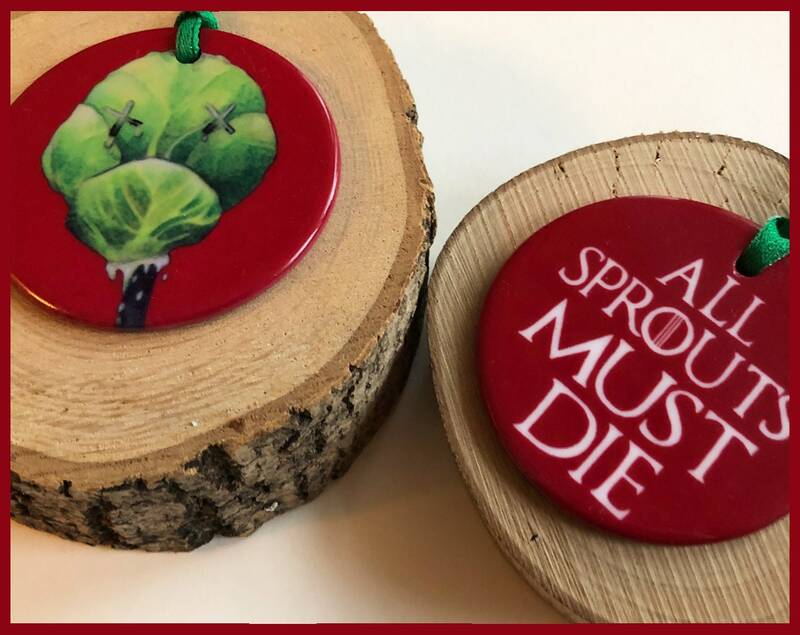 Measuring 7.5cm in diameter the “All Sprouts Must Die” Christmas tree ornament is sure to get a few smiles this Christmas! 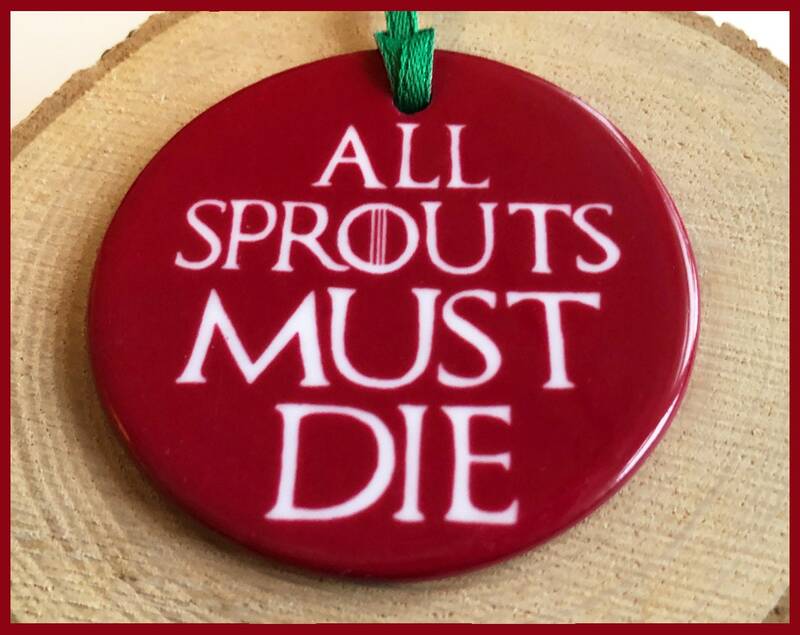 This double sided ornament features a dead sprout on the front and text reading "All Sprouts Must Die" on the back. 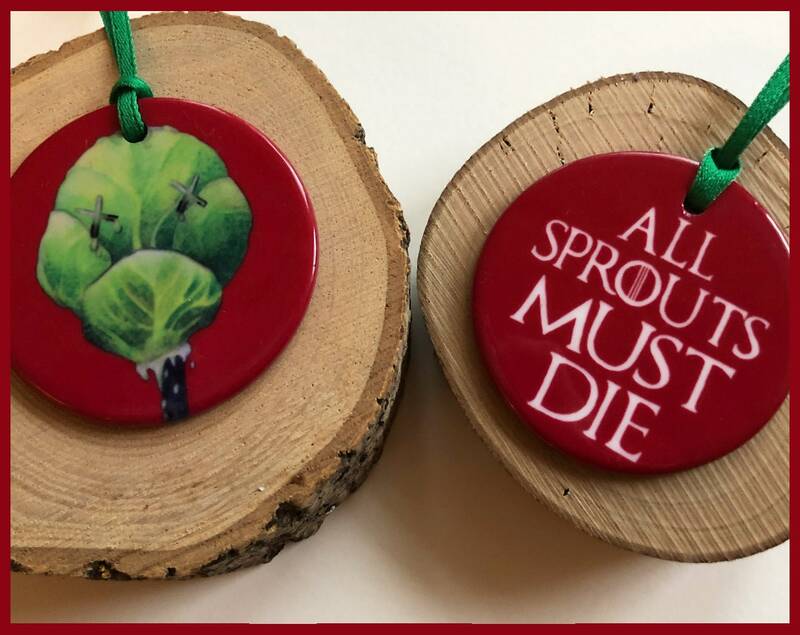 Theres a green glitter ribbon threaded through the ornament to hang from the tree. 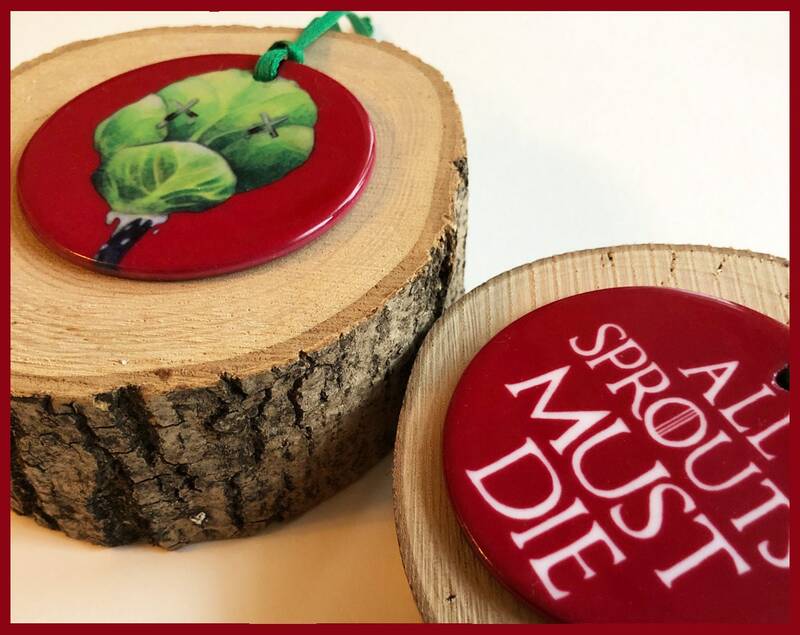 A perfect stocking filler for any sprout hater!